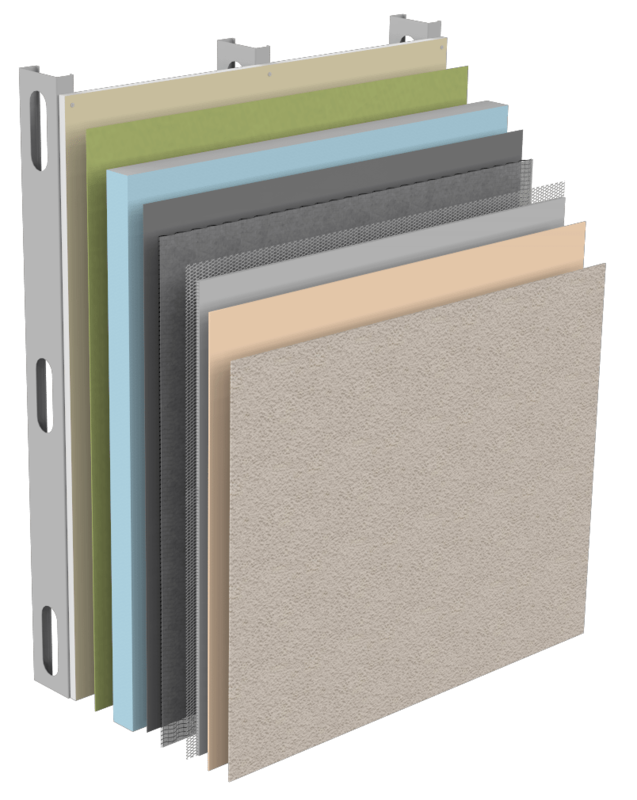 Fully-tested, stucco systems with excellent moisture management and comprehensive design options for a low maintenance, long lasting cladding with all of the protection and energy efficiency of StoGuard®. 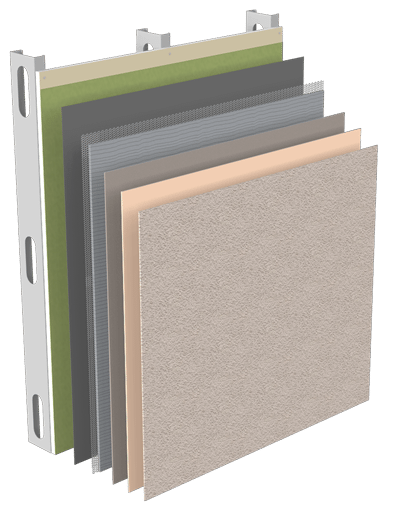 StoPowerwall® Stucco Systems are advanced integrated wall systems that combine the best protective and aesthetic elements into a superior wall cladding. 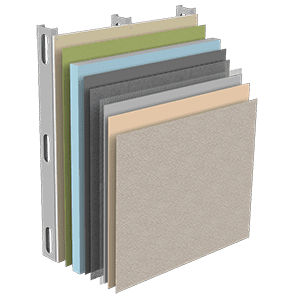 The systems are made-up of high-performance components including StoGuard® fluid-applied air and moisture barrier, Sto DrainScreen™ drainage mat, StoPowerwall® Stucco and Sto textured finishes. Together these make a system that performs better than traditional stucco, with finishes and coatings that keep out moisture while providing a myriad of design options. Premium stucco system with superior thermal performance and air and moisture control. 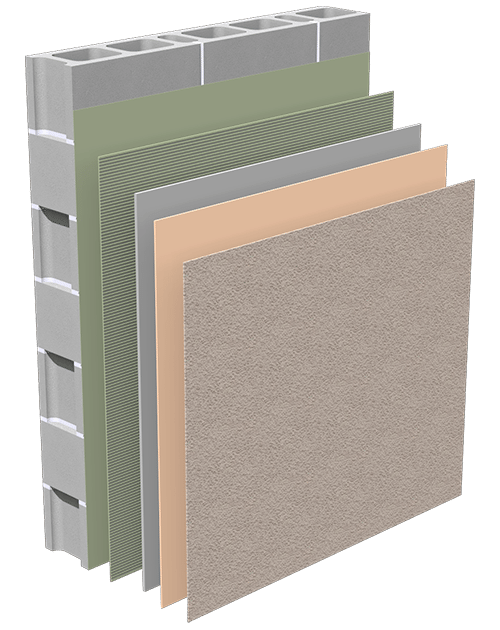 StoPowerwall® ci is a premium stucco system which provides heat, air and moisture management along with the best protective and aesthetic elements for a truly superior wall cladding. It combines StoGuard® air and moisture barrier, a drainage mat, Type IV Insulation, StoPowerwall® Stucco and Sto textured finishes into an integrated system that supports both green building and moisture protection across all climate zones, from cold to hot and humid. In addition, Sto Corp’s wide selection of finishes and coatings offer a wide range of design options for high impact curb appeal. High-performance continuous rigid XPS insulation. Building Code Compliance: limited to use on combustible construction. Drainage cavity for moisture management. High performance stucco system with excellent moisture protection. StoPowerwall® DrainScreen™ is a high performance stucco system with excellent moisture protection. 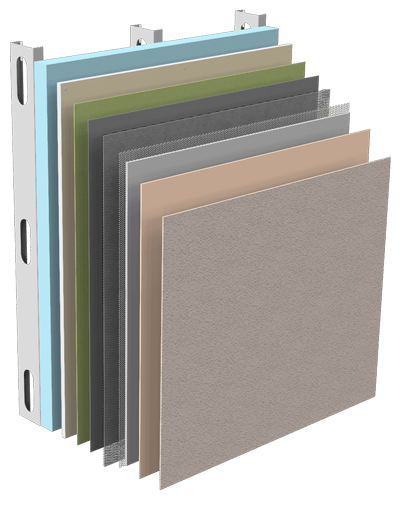 It is comprised of the following main components: StoGuard® air and moisture barrier, Sto DrainScreen™, StoPowerwall® stucco and Sto textured finishes. Sto DrainScreen™ is a fibrous resin drainage mat that is placed between the cladding and the StoGuard® seamless air and moisture barrier system. Should water ever reach the back of the cladding, it can drain from the wall assembly via the drainage mat, which also helps speed the drying of moisture-laden air (water vapor) that can accumulate in the wall assembly. Drainage and drying can be particularly important in hot and humid climates and in areas with wind-driven rain. 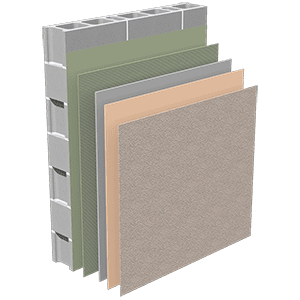 StoPowerwall® ExtraSeal™ incorporates Sto ExtraSeal™, a Portland cement-based Air and Moisture Barrier component for use beneath Direct-Applied StoPowerwall® stucco brown coats. It is applied by trowel or pump to vertical, above grade, Concrete and Concrete Masonry Units (CMU). Portland cement stucco with continuous air and moisture barrier, drainage and high performance finish. 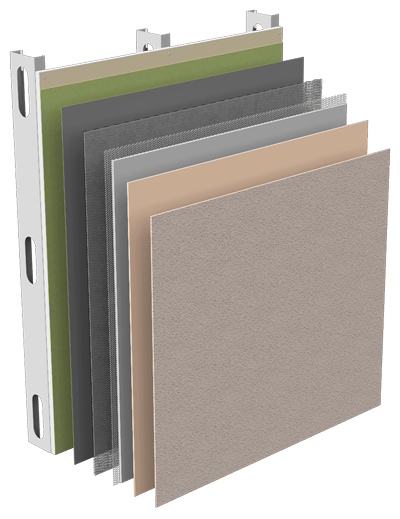 StoPowerwall® is a stucco wall assembly with continuous air and moisture barrier and moisture drainage. 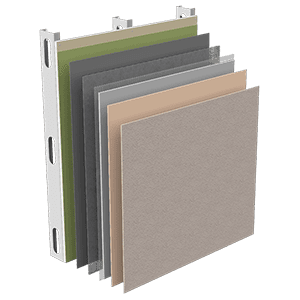 It combines the strength and durability of traditional stucco with StoGuard® moisture protection and Sto high performance finishes and can be used in Commercial and Residential applications.